Therali malayalam movie to be directed by Renji Panicker will have Mammootty in lead. Scripted by Manu Prasad, the movie is expected to go on floor in the second half of 2014 after the committed projects by the actor. Renji Panicker has earlier directed Mammootty in his movie Roudram. Ranji who is much known for his punch dialogues has rose much hope among the huge fan followers of the mega star. 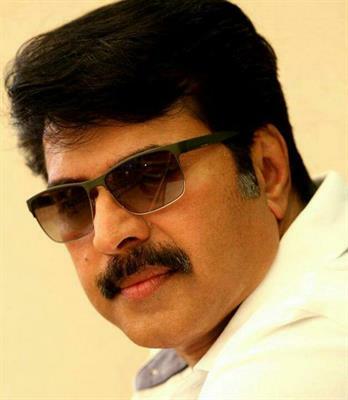 Mollywood king Mammootty is making news every day bringing smile onto the face of his million fan followers. After a graceful year of success, the actor is gearing up to continue his journey in the coming year too with committed projects. Heard from the grapevine, Mammootty will be teaming again with Renji Panicker for an entertainer. Titled 'Therali', the movie scripted by journalist Manu Prasad is expected to go on floor in the second half of 2014. Renji Panicker has earlier directed Mammootty in his movie Roudram. The upcoming venture has already raised much anticipation among the movie enthusiasts. Being one of the prestigious projects for the duo, 'Therali' would be an action packed thriller. Renji Panicker who made name as a script writer tried his talent in directing through 'Bharathchandran IPS' which was also the re- launch of Suresh Gopi too. Renji proved his mettle as a film maker with 'Roudram' which received rave reviews from the theatres. Renji's last outing in the industry was as script writer for 'King and the Commissioner' which was directed by Shaji Kailas. Being a firebrand script writer and director, Renji Panikar gave his best for the malayalam film industry. Mammootty who is riding high with back to back hits has already given dates for established film makers and also new faces who wish to create their own name and space in the entertainment world. Mammootty's Christmas release would be 'Silence' directed by V.K Prakash in which he pairs with bollywood actress Pallavi Chandran. He has already completed the first schedule works of 'Balyakalasakhi'. The actor is currently busy with the shooting of Shibu Gangadharan's directorial debut with locations set at Kanjirapally and Pala. Mammootty has lend 28 valuable dates for the first schedule of the movie which will have locations set at Amal Jyothi college and Kanjirapally Cathedral.